Maybe you’re not looking for a new job, maybe you are, or maybe you want to learn more and gain helpful insight and tips about your field. Perhaps you’re thinking about changing your specialty and if you are, do you need to go back to school? The best way to help you with your decision is with an informational interview. This article will tell you all you need to know about these interviews to help you get answers and information specific to you and your needs. An informational interview is just what it sounds like – an opportunity for you to learn whether a change is a good fit for you. You have nothing to lose and everything to gain. 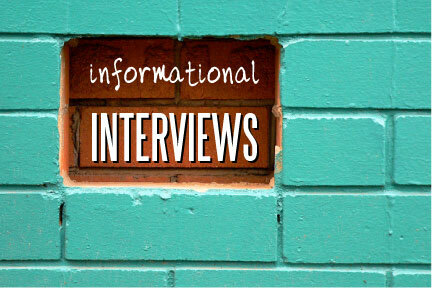 Have you ever used an informational interview to move your nursing career forward? Did you know that informational interviews are a form of professional networking? When you’re seeking a position, doing research on a nursing specialty, vetting a potential employer, or looking to make valuable connections with other healthcare professionals, informational interviews are a vehicle to achieve your goals. An informational interview is a process by which you request to meet with another professional to learn more about what they do, who they are, the organization they work for, or other valuable information. These meetings are not about directly asking for a job; however, they are indeed about you meeting with an individual who holds power, connection, influence, or knowledge to which you would like access. Informational interviews are best conducted in person, but telephone, Skype, or FaceTime are fine if meeting face-to-face isn’t possible. During such a meeting, you ask prepared questions in order to stimulate conversation while remaining open to new questions that may arise in response to your interviewee’s answers. Remember that although informational interviews are not actual job interviews, the act of helping an influential professional to learn how valuable you are can sometimes lead to surprising and unexpected outcomes. Request an informational interview in writing, making your intentions very clear. Your introductory letter or email will be somewhat like a cover letter, yet it will not contain a request to be interviewed for a particular position. In your letter, briefly introduce yourself and give a very short synopsis of your nursing career. Explain your goals and the general information you’re seeking; you can even share your specific questions in advance. Be sure to inform your potential interviewee right away that you value their time, and offer a potential time limit for the conversation (for example, 30 minutes). If meeting at their workplace, ask to know what favorite treat and beverage you can bring from a nearby café; if you plan to meet at a café or restaurant, be very clear that you’ll be covering all costs. During the interview, be clear, concise, and well-prepared. Bring a notebook and pen, and be sure to have your resume and business card in case they’re requested. Be certain to smile, laugh, make eye contact, speak eloquently, and practice good listening skills and body language. Express gratitude at both the beginning and end of the meeting. Remember to show curiosity about your interviewee’s life and career, and ask for their professional mailing address and business card before you part ways. Once your questions have been answered, always ask your interviewee if there is any way in which you could be helpful to them, even if you think there isn’t; the offer is a way of showing a spirit of grateful reciprocity. Always mail a handwritten thank you note within several days of the interview; an email is simply not sufficient. Also, connect with your interviewee on LinkedIn and other social media platforms. If your connection is a positive one, consider sending a holiday card each year, and check in by email from time to time. If a referral, introduction, or other lead bears positive results, write to inform them and reiterate your gratitude. An informational interview can be a powerful means to gathering information, receiving introductions, or opening up new opportunities; employ this underutilized networking strategy to stimulate your own career growth.